A landmark temporary truce has come into effect in Syria. In the run-up to the midnight (22:00 GMT) deadline, US President Barack Obama warned the Syrian government and Russia "the world will be watching". Russian jets were reported to have intensified attacks on Syrian rebel positions on Friday. Meanwhile, the UN special envoy for Syria Staffan de Mistura has announced that peace talks will resume on 7 March if the truce "largely holds". What's the difference between 'ceasefire' and 'cessation'? Syria truce: Who's in and who's out? Mr de Mistura said he had no doubt "there will be no shortage of attempts to undermine this process". "This will remain a complicated, painstaking process," he told the UN Security Council via videoconference from Geneva. But he added: "Nothing is impossible, especially at this moment." Previous talks in Geneva collapsed in early February after making no progress. The UN Security Council also unanimously adopted a resolution drafted by the US and Russia that endorsed the truce agreement. It urges all sides to "use their influence with the parties to the cessation of hostilities to ensure fulfilment of those commitments". One of the key aims of the cessation - brokered by the US and Russia - is to allow desperately needed aid to reach people trapped in besieged areas. The UN resolution names about 30 areas in dire need of aid, including eastern and western rural Aleppo and the eastern city of Deir al-Zour, which is under siege by so-called Islamic State (IS) jihadists. The truce involves government and rebel forces - but not IS or the al-Qaeda-linked Nusra Front. 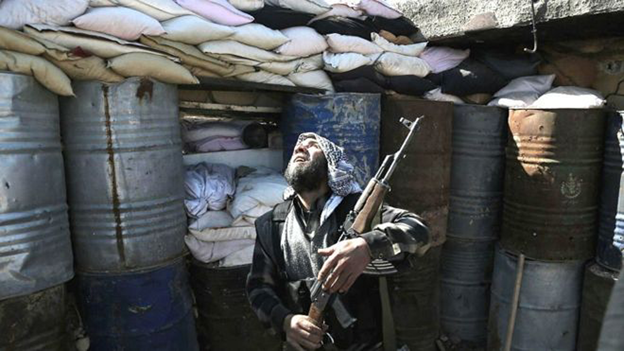 On Friday, Nusra Front urged its supporters to intensify attacks against President Bashar al-Assad and his allies. The HNC warned the Syrian government and its allies not to use the "proposed text to continue the hostile operations against the opposition factions under the excuse of fighting terrorism". Russian President Vladimir Putin said his forces were targeting IS, Nusra Front and other extremist groups designated as legitimate targets by the UN Security Council. However, Russia is widely accused of also attacking more moderate rebel groups fighting President Assad, an ally of the Kremlin. President Obama said the success of the cessation would depend on whether warring parties including the Syrian government, Russia and their allies lived up to their commitments. Attacks needed to end, he said, and humanitarian aid had to be allowed through to desperate civilians. "The coming days will be critical and the world will be watching," he added. 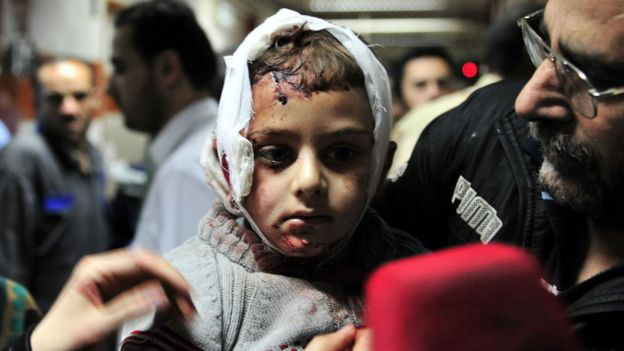 More than 250,000 Syrians have been killed in Syria's civil war and millions more have been forced from their homes.